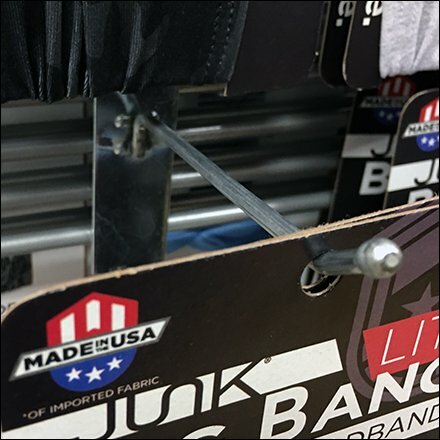 As if the Headband lifestyle merchandising and Stand were not enough, there is the Junk High Performance Headband Hook to be considered. See that the Stand is outfitted with 1” Grid as a vertical display surface. Flatback Slatgrid Display Hooks complete the outfitting and provide merchandising homes for the entire array of Headbands. And no detail was overlooked. See that the Junk High Performance Headband Hook included Safety Ball End Tips as a finishing touch.